Game drives provide the perfect opportunity to immerse yourself in nature and to get close to all the extraordinary animals in their natural habitat. A few days ago, guests witnessed an incredible act of nature. 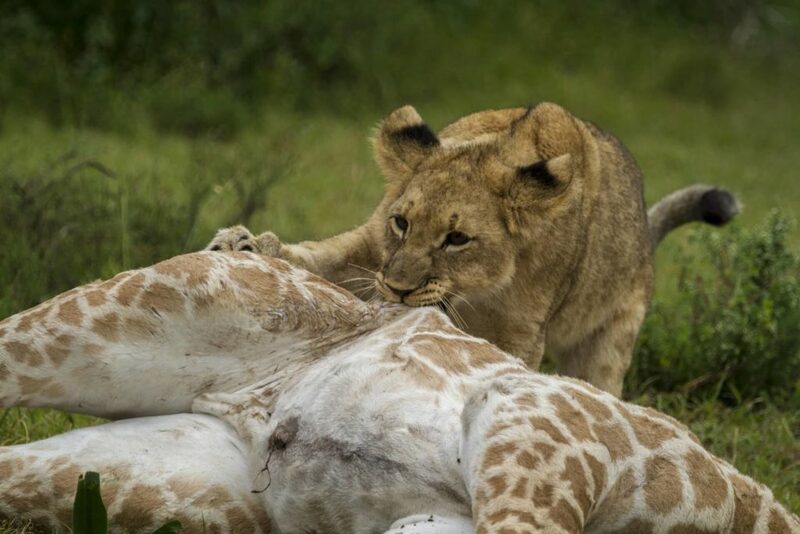 “In the last few days myself and my guests were lucky enough to witness a brilliant giraffe kill. 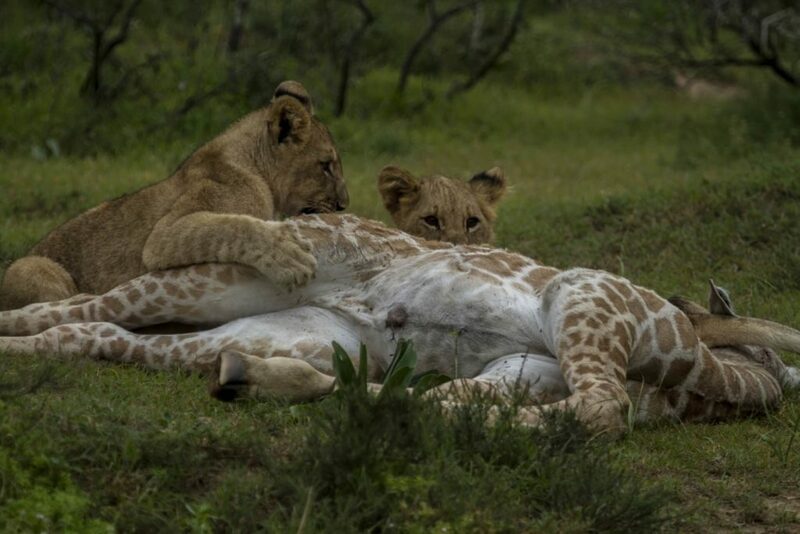 An easy meal for a lion with cubs, and as tough as it may seem, it’s the way of life. My guests were thrilled to see the lions and it was a sighting of a lifetime for me. It was spoken about many times over the three night stay at Bayethe Tented Lodge. I loved the sighting as it was so rare. 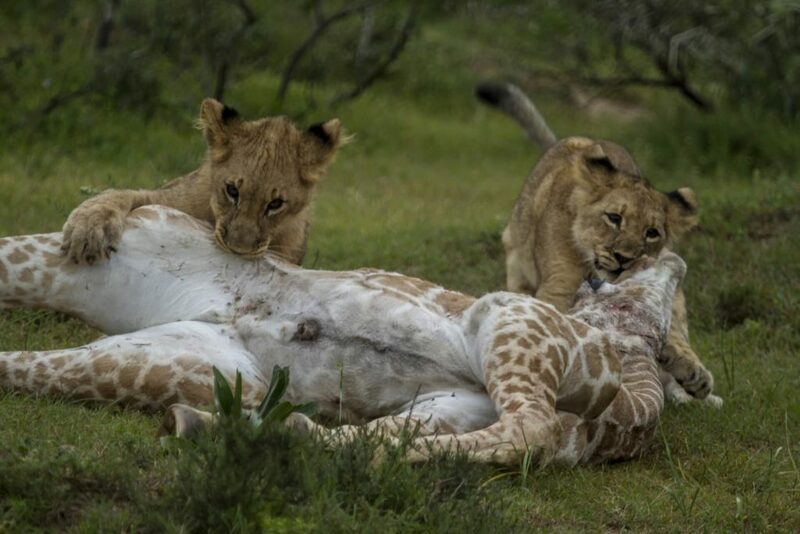 Once the giraffe calf was dead, two lion cubs started playing with the giraffe. My guests got their cameras out and enjoyed the sighting as much as I did. It was difficult to witness but nature is harsh and lions have to kill to survive. The two cubs are still growing and can’t begin to get through the tough skin so they played with the meal and waited patiently for mom to begin the feeding process. Their mom took some time to catch her breath next to a nearby shrub after using most of her energy to catch the meal. They stayed on the carcass for three days before moving off as it provided them with plenty of food.